WASHINGTON -- Before the fireworks kick off this July 4, consider getting lost in a maze. 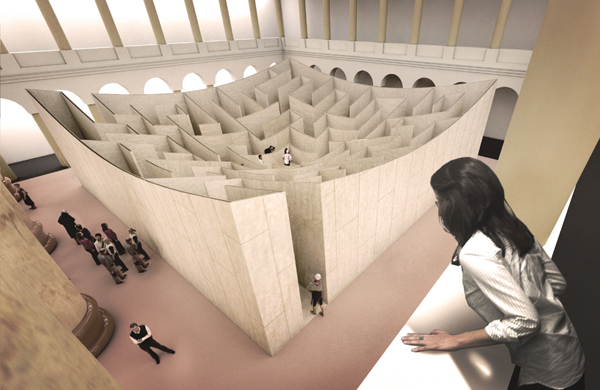 The National Building Museum is unveiling its latest exhibit -- an 18-foot high labyrinth fittingly named the BIG Maze. The plywood structure is being revealed this Independence Day, just in time for the museum's annual Summer Block Party, which features Sunday concerts, food from local vendors and interactive activities for the whole family. The maze will be on display through September. Click here to watch a livestream of the maze being built. And click here for viewing information.